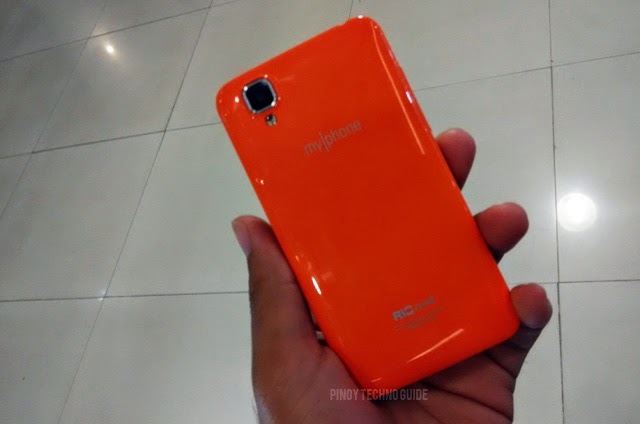 The MyPhone Rio Junior has a lot of haters for its very low specs. However, it only costs ₱1,750 and is meant for those who just want to experience Android Kitkat without spending too much. That’s what I kept in mind when I had the chance to have a quick hands on time with the MyPhone Rio Junior. It should be judged for what it is and not based on what smartphones in the 4-5k price range can do. As usual with the Rio series, MyPhone Rio Junior is available in several colors of glossy back covers. 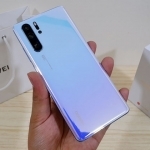 There’s also a pattern on the chin of the smartphone that somehow looks like floor tiles to me. The Rio Junior is understandably very light given its small size and plastic casing. It is also very handy and using it with just one hand is a breeze. Turning on the MyPhone Rio Junior makes it very obvious that I’m holding a cheap smartphone. The display is a bit washed out and tilting the smartphone further reduces its readability. It’s worth noting that the MyPhone Rio Junior also uses the same set of icons and overall theme as its big brothers (Rio, Rio Lite and Rio Craze… yeah, the Rio LTE too). Surprisingly, swiping on the homescreens and the array of apps in the app drawer is smooth. This might be the effect of the Android 4.4 Kitkat OS but it’s definitely something that won’t give you a headache by being very laggy. 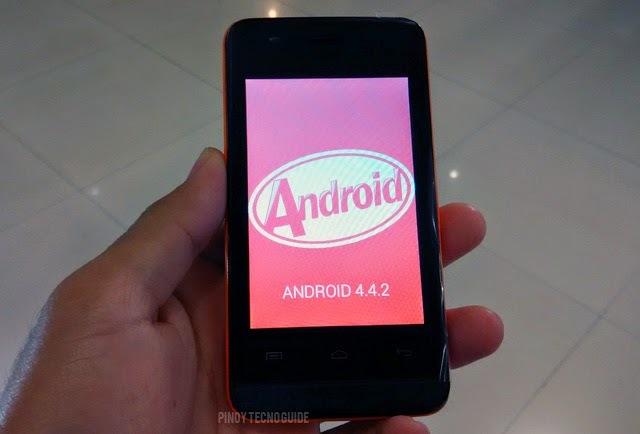 MyPhone Rio Junior runs on Android Kitkat! 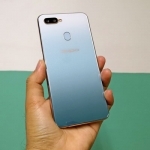 Of course, this is the out of the box performance and installing additional apps might take its toll on the performance of the MyPhone Rio Junior. Speaking of apps, the available space for installing apps is 17.84MB only! I’m pretty sure this smartphone can move apps to the SD card though. Still, this is a BIG PROBLEM. 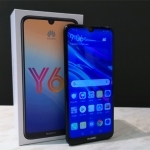 You also get 131MB of storage space for your files – pictures, music, videos, etc.. There’s a slot for up to a 32GB microSD for additional storage. 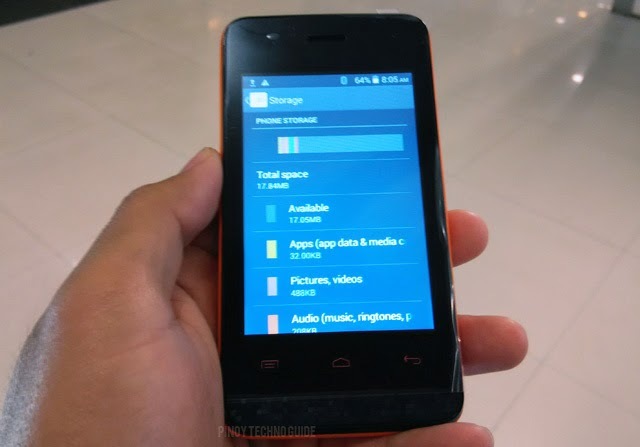 Surprisingly, RAM might not be a huge problem unlike that of the MyPhone Rio Craze. 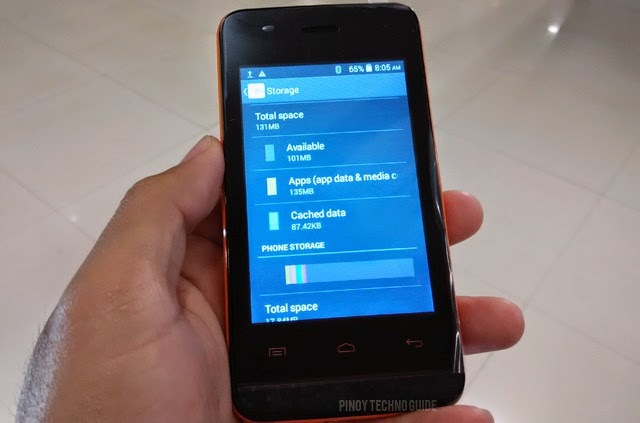 The MyPhone Rio Junior comes with 105MB of free RAM with just the stock apps running. Not bad for a smartphone with only 256MB of RAM. 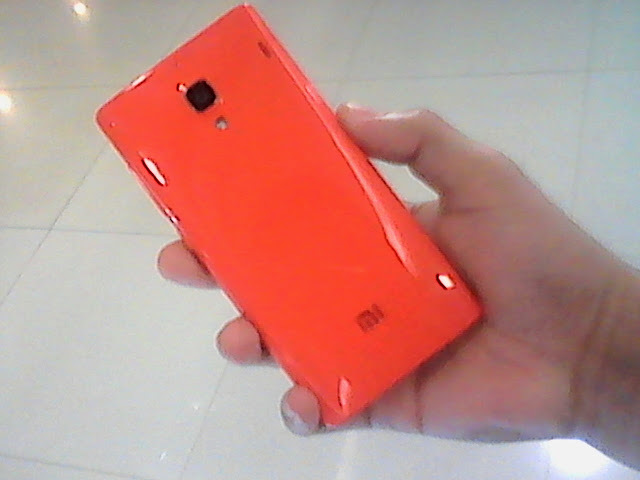 Yeah, that’s the Xiaomi Redmi 1S photographed using the MyPhone Rio Junior! 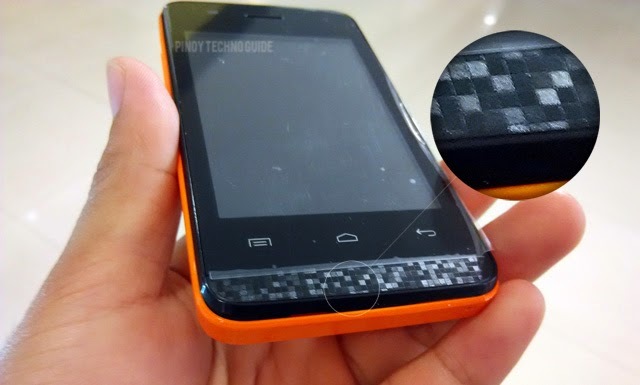 I also examined the battery of the MyPhone Rio Junior and its kinda small. 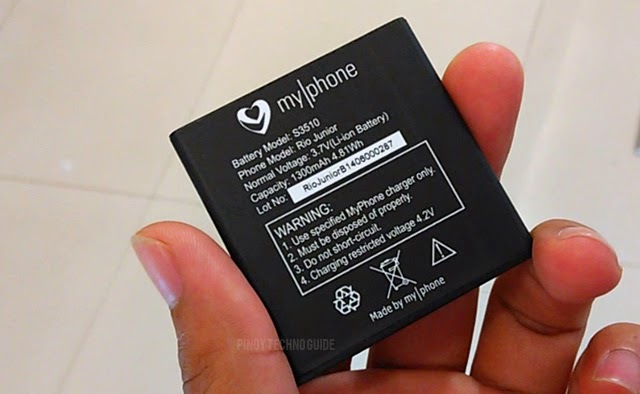 It’s rated at 1,300mAh and looks different compared to the usual batteries that MyPhone uses with its feature phones. 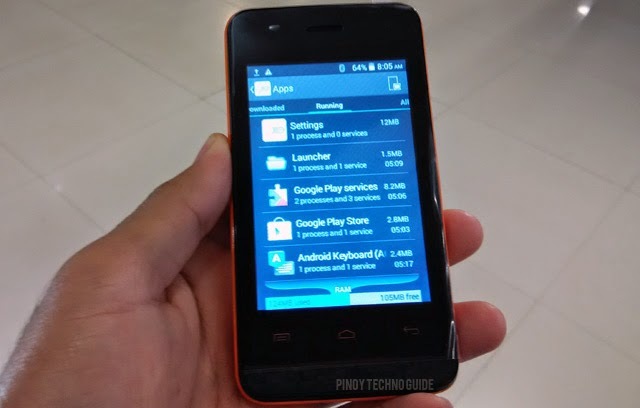 Just like my usual hands on articles, I wasn’t able to test the MyPhone Rio Junior with any benchmark app. I wasn’t able to test its gaming performance and battery life too. If you are looking for a cheap Android Kitkat smartphone, pick the MyPhone Rio Junior. So far, MyPhone produces the most decent smartphones in this category among the local brands. However, do not (never ever!) expect the MyPhone Rio Junior to perform like the original MyPhone Rio or even the MyPhone Rio Lite. That’s a stupid thing to do. 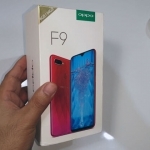 Hands on with the OPPO F9 Jade Green: I love the pastel theme with gold trims! 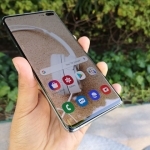 Samsung Galaxy S10+ Hands On: Quick Initial Review! 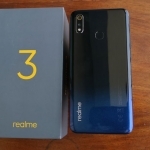 Realme 3 Unboxing and Quick Hands On: What’s inside the Realme 3 box?